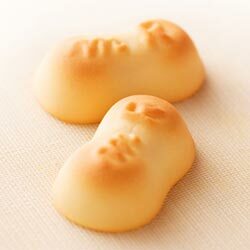 I am pleased to introduce some popular souvenirs of wagashi (Japanese style sweet) of Kagawa prefecture. 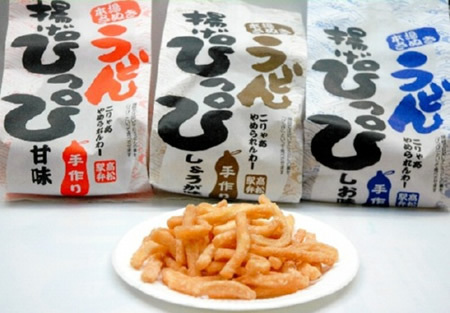 Did you know Kagawa has a wide variety of Japanese sweets characteristic to each region, especially “Sanuki Udon” is nationwide famous in Japan. 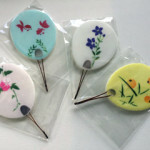 Kagawa people’s taste! “Age Pippi” produced by Merikenya Kakehashi-ten. 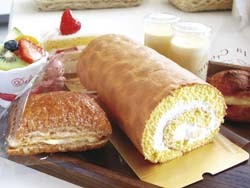 A signature snack at homes in Kagawa. Fried “Sanuki Udon” or strong bodied noodle. 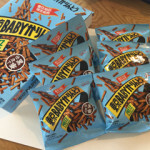 You can enjoy crisp, light taste, good for nibbles as well. 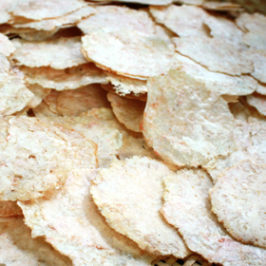 It has three tastes: salt the basic, ginger and sweet. 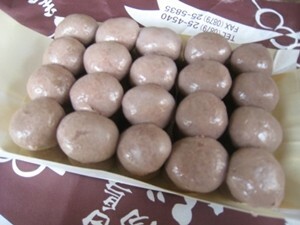 Awarded the “Kikka Eikou Sho” at the 26th National Confectionery Exposition! 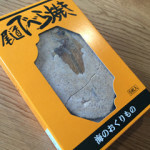 “Meibutsu Kamado”, a signature Japanese sweet of Sakaide City, Sanuki (old name of Kagawa) which once flourished by salt business, is a baked tasty egg crust in a shape of Kamado, a traditional Japanese cooking stove, wrapping yellow bean paste with selected beans from Hokkaido. 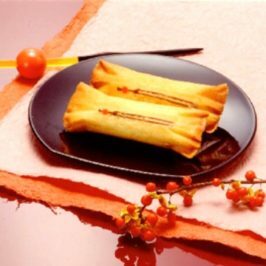 The harmony of moist sweetness of yellow bean paste inside and crisp crust is superb. 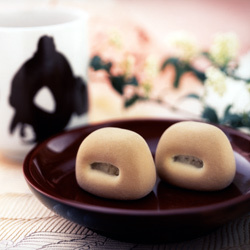 Traditional high-class wagashi, “Wasanbon” produced by Mitani Seito. Awarded the Honorary President Award at the National Confectionery Exposition! 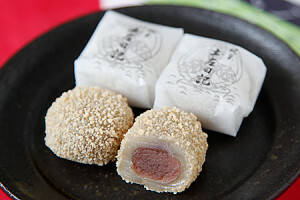 Since the establishment in 1804, they have made “Wasanbon” carefully by traditional hand-made method. 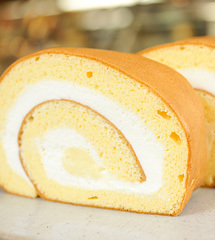 Sweet refined smooth taste. 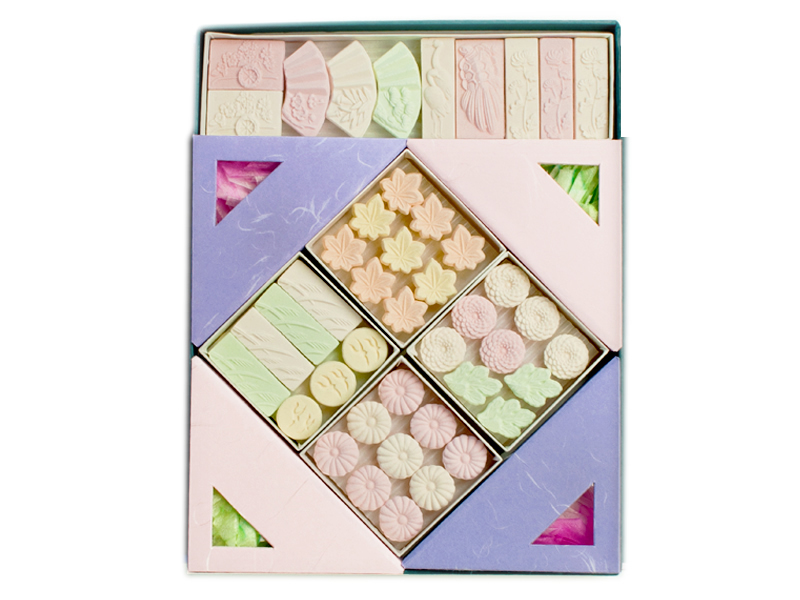 It is known as a high class traditional wagashi among tea ceremony lovers. 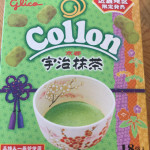 Awarded the “Kikka Eikou Sho” at the 25th National Confectionery Exposition! 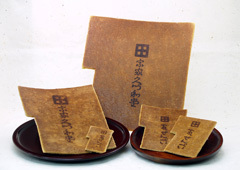 Kawara Senbei made by an old-established shop is a hard baked cracker using “Shiroshita-to”, which is a raw material of Wasanbon, Sanuki specialty. It is said to be made modeling the roofing tile of Takamatsu Castle. 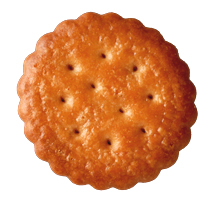 Traditional plain taste harmonized Sanuki specialty sugar and hard baked Senbei flavor. 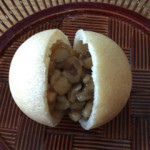 A signature product from Shirotori made by an old-established shop wraps a round glob of strained Azuki bean paste by a filmy skin, steamed, then put four through a skewer. 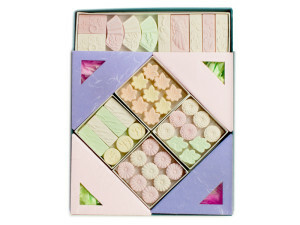 Refined sweet taste as the old days.